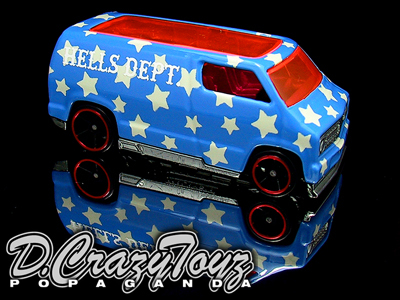 D.C.T. 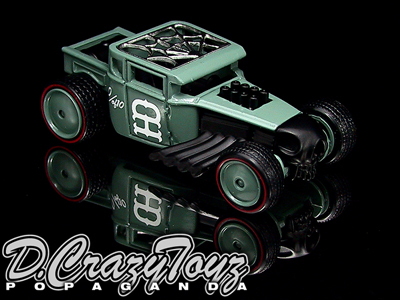 No.049 FLASH SIDER RUSTY "JDC13 H.D.SHOP"
D.C.T. 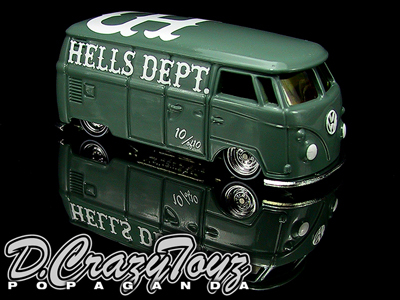 No.048 FLASH SIDER "JDC13 H.D.SHOP"
D.C.T. 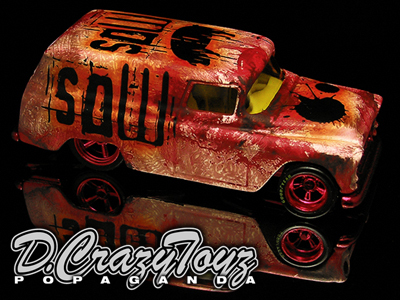 No.047 COBRA "My First Toy Car"
D.C.T. No.046 Flash Sider "My First Toy Car"
D.C.T. 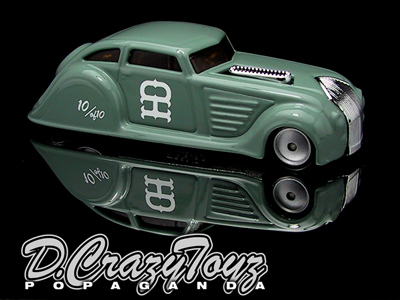 No.045 Chrysler Air Flow "Mushroom cloud"
D.C.T. 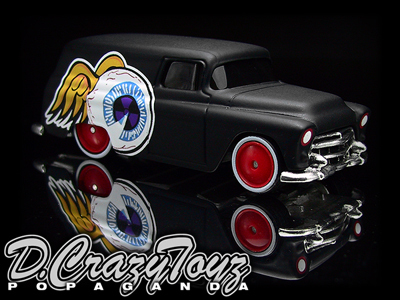 No.044 Authentic Chevy Face CM Car "Mushroom cloud"
D.C.T. 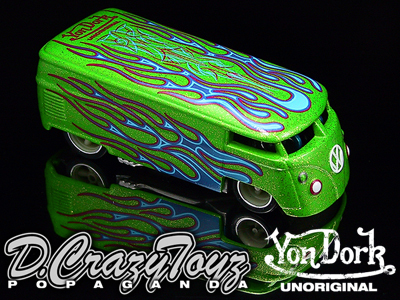 No.043 VW DRAG BUS "Mushroom cloud"
D.C.T. 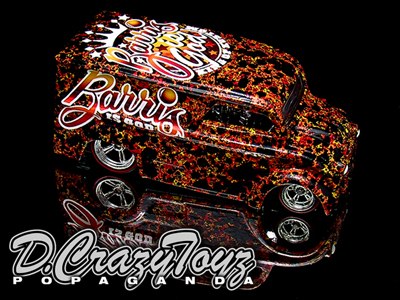 No.042 55 CHEVY PANEL "Mushroom cloud"
D.C.T. 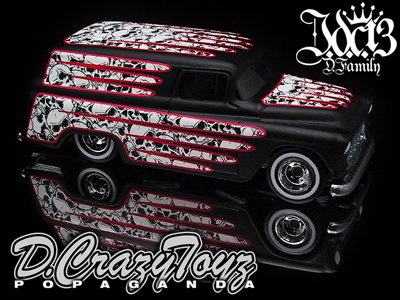 No.041 DODGE A- 100 "Mushroom cloud"
D.C.T. 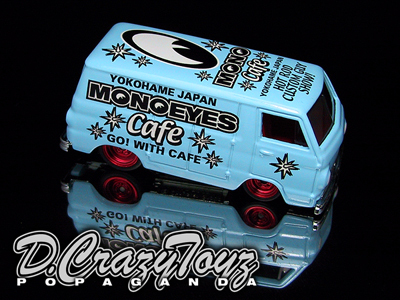 No.040 VW MICRO BUS "Mushroom cloud"
D.C.T. 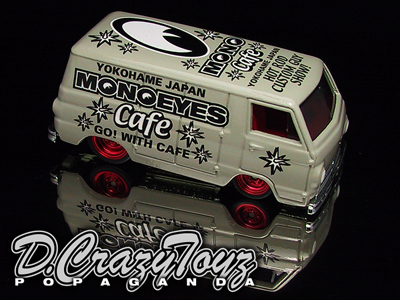 No.039 CYCLOPS SHAKER EZ "Mushroom cloud"
D.C.T. 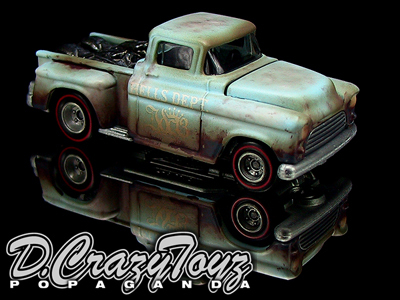 No.037 55 Chevy Panel "Mushroom cloud"
D.C.T. 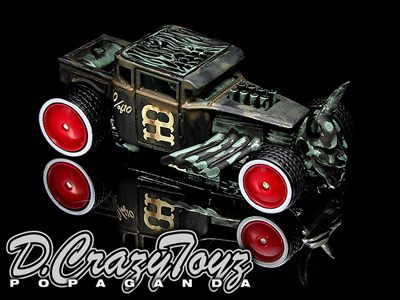 No.036 Prajna Shaker EZ "Mushroom cloud"
D.C.T. 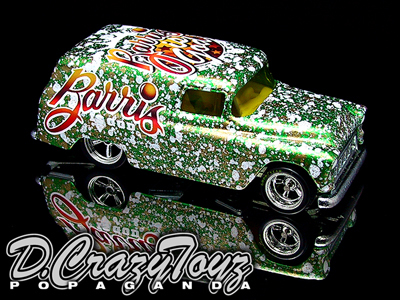 No.025 Holiday Panel " Snow on the Green & Gold "
D.C.T. 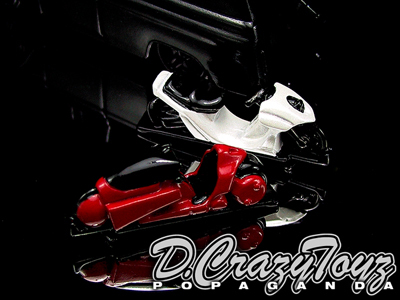 No.024 Holiday Panel " Snow on the Red & Gold "
D.C.T. 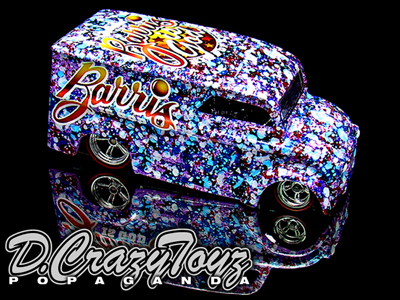 No.023 Barris is God "Holiday Snow"
D.C.T. 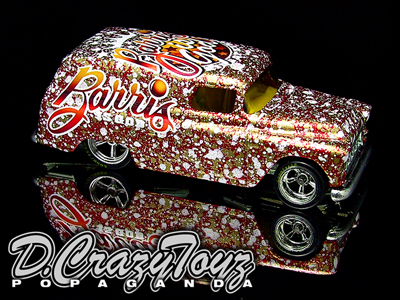 No.022 Barris is God "Holiday Volcano"
D.C.T. 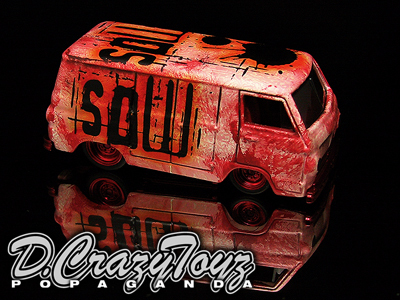 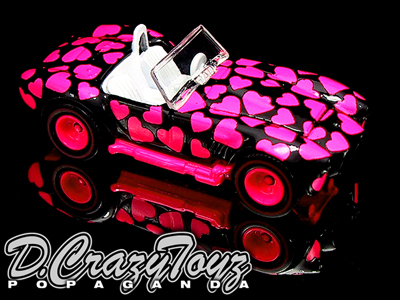 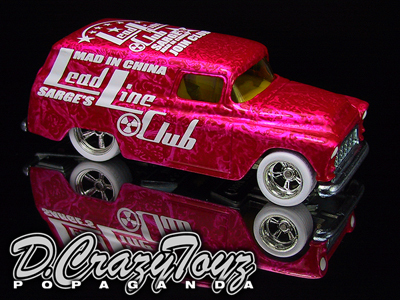 No.021 SKIN DEEP 55 CHEVY PANEL "PINK SKIN"
D.C.T. 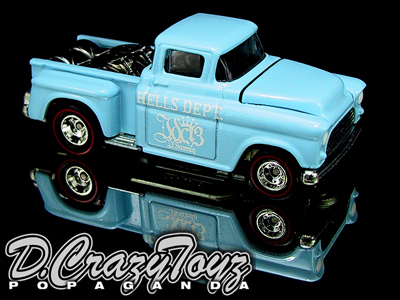 No.020 SKIN DEEP 55 CHEVY PANEL "BLUE SKIN"
D.C.T. 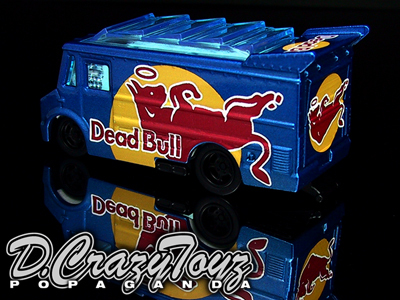 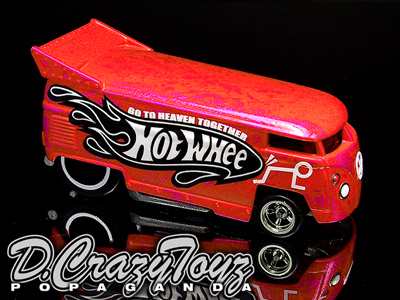 No.019 GO TO HEAVEN TOGETHER "VW DRAG BUS"
D.C.T. 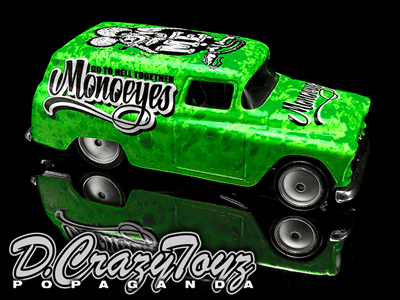 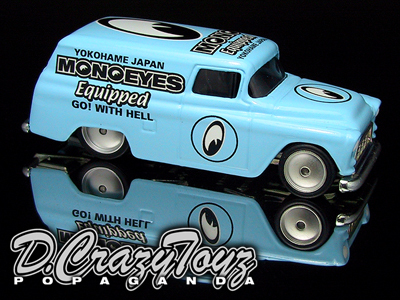 No.018 MONO EYES FINK 55 CHEVY PANEL "Fink Green"
D.C.T. 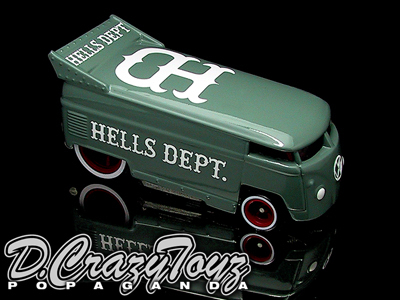 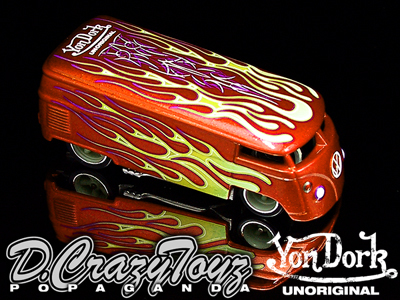 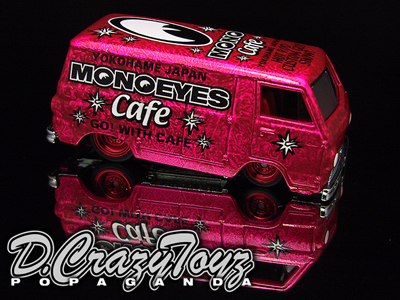 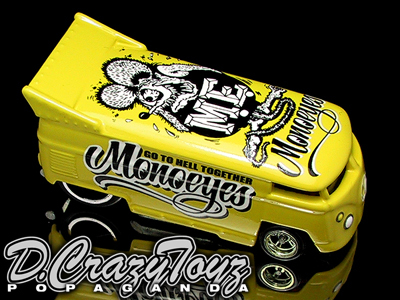 No.017 MONO EYES FINK "VW DRAG BUS"
D.C.T. 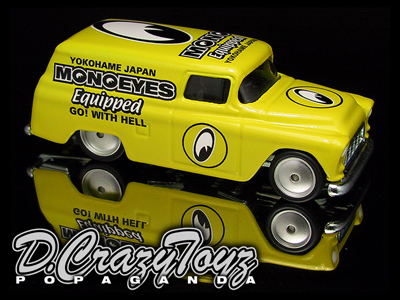 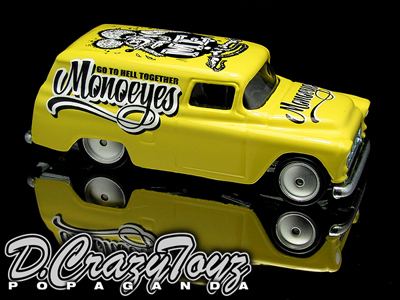 No.016 MONO EYES FINK "55 CHEVY PANEL"
D.C.T. 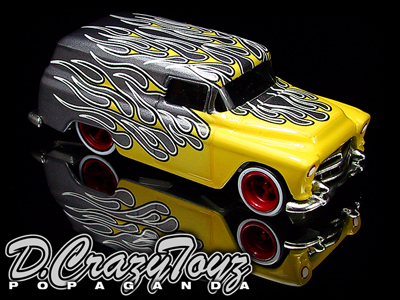 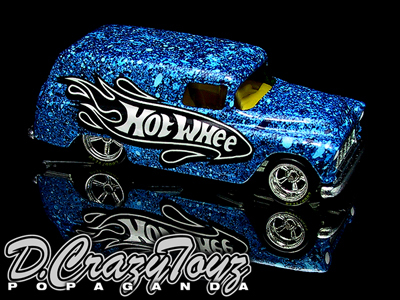 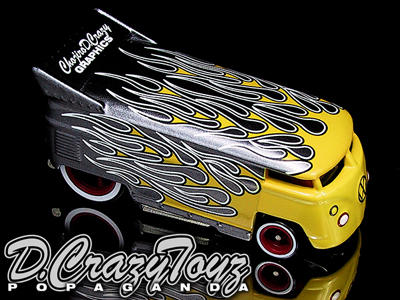 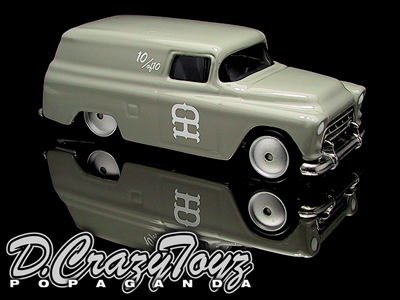 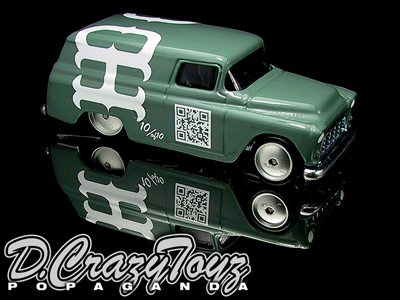 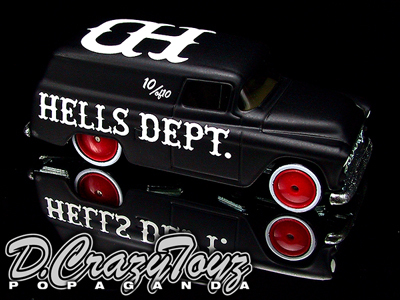 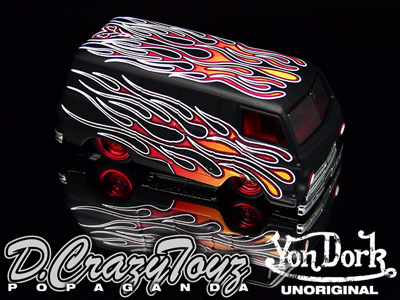 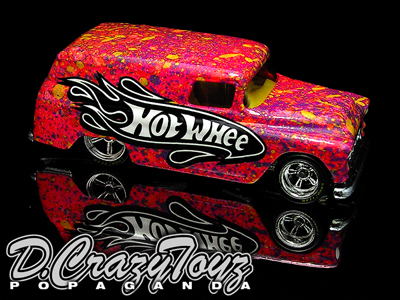 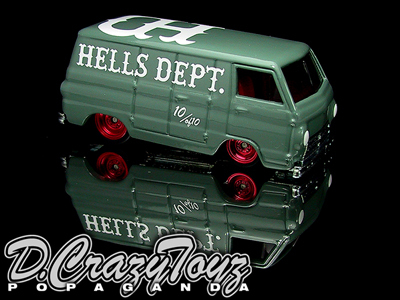 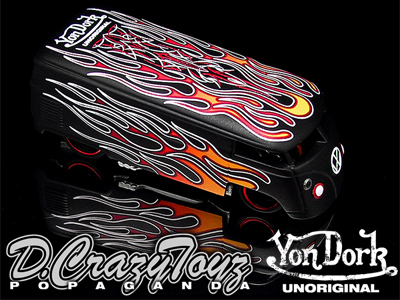 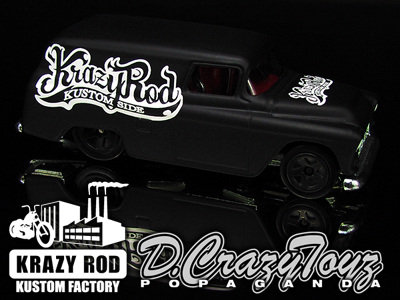 No.015 COLLABORATION : KRAZY ROD "55 CHEVY PANEL"
D.C.T. 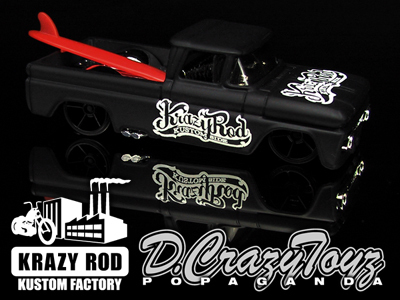 No.014 COLLABORATION : KRAZY ROD "62 CHEVY TRUCK"
D.C.T. 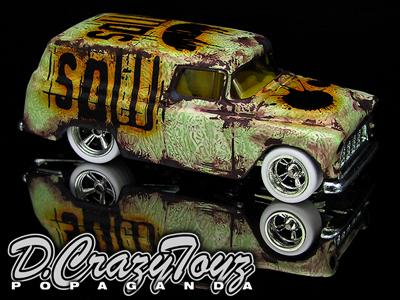 No.011 SOW S.D.A. 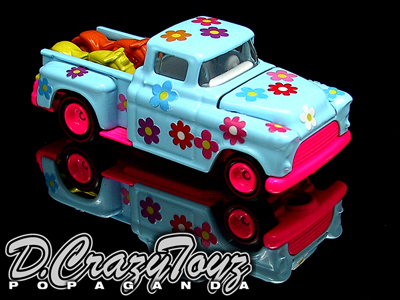 A-100 "CINEMA MODE"
D.C.T. 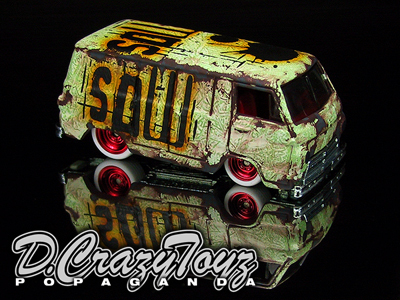 No.010 SOW S.D.A. 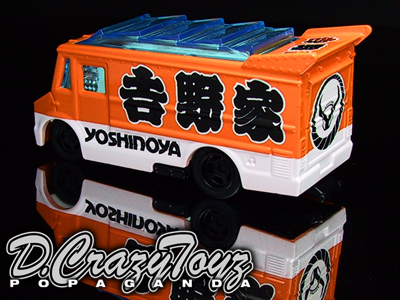 55 PANEL "CINEMA MODE"
D.C.T. 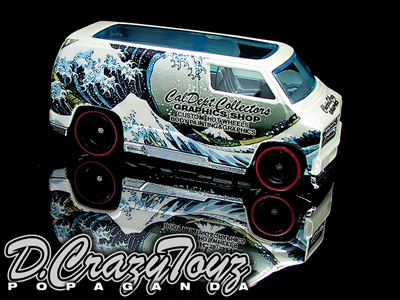 No.001 J.D.C.13 "DEATH 55 PANEL in Bath Time"